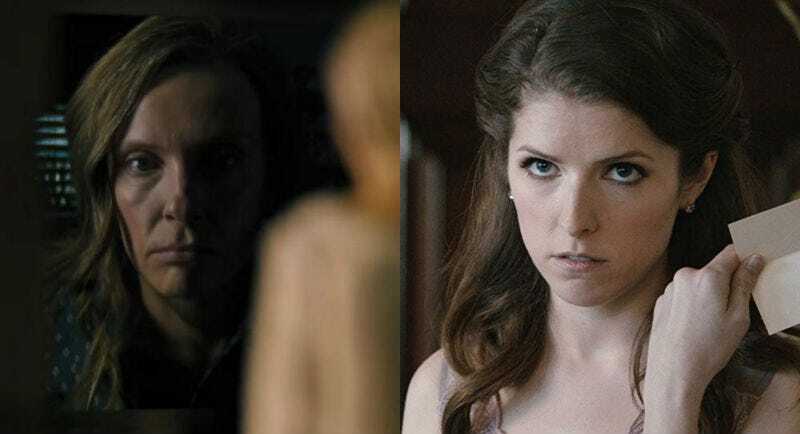 Toni Collette and Anna Kendrick in Hereditary and Table 19, respectively. The movie is called Stowaway and those women are Anna Kendrick and Toni Collette, the latter of whom has just joined the cast. Variety broke the news, which comes a few weeks after Kendrick joined the film. Stowaway’s titular character makes a surprise appearance on a ship traveling to Mars, and does major damage to the life support systems. “Facing dwindling resources and a potentially grim outcome, a medical researcher (Kendrick) emerges as the only dissenting voice against the clinical logic of both her commander (Collette) and the ship’s biologist,” Variety says about the plot. The film will be directed by Joe Penna, who co-wrote the script with Ryan Morrison, a pair of filmmakers who about to break onto the scene with a survival film called Arctic, starring Mads Mikkelsen. It’s scheduled for release in February. As for Stowaway, they couldn’t ask for two more dynamic actresses to pit again each other. Collette’s complex power and authority. Kendrick’s challenging attitude and confidence. It should be fun to see the different personalities and beliefs go back and forth in this sci-fi setting. There’s no word on when the film is going into production or will be released, but Arctic premiered at the 2018 Cannes Film Festival, so maybe Penna and Morrison are eying up the 2020 edition?